Thank goodness they are wrapped in bacon, because pretty much anyone who ever sees anything wrapped in bacon, is going to eat it. And yes that’s what happened. The guys ended up loving them! The recipe is pretty easy too. Pre-heat the oven to 375 degrees. Cut the dates vertically so you can open them and take the pit out (don’t cut all the way through). Once you take the pit out fill the center with a healthy amount of goat cheese. You can never have too much goat cheese! Press the dates together so that the cheese is nice and secure in the middle. 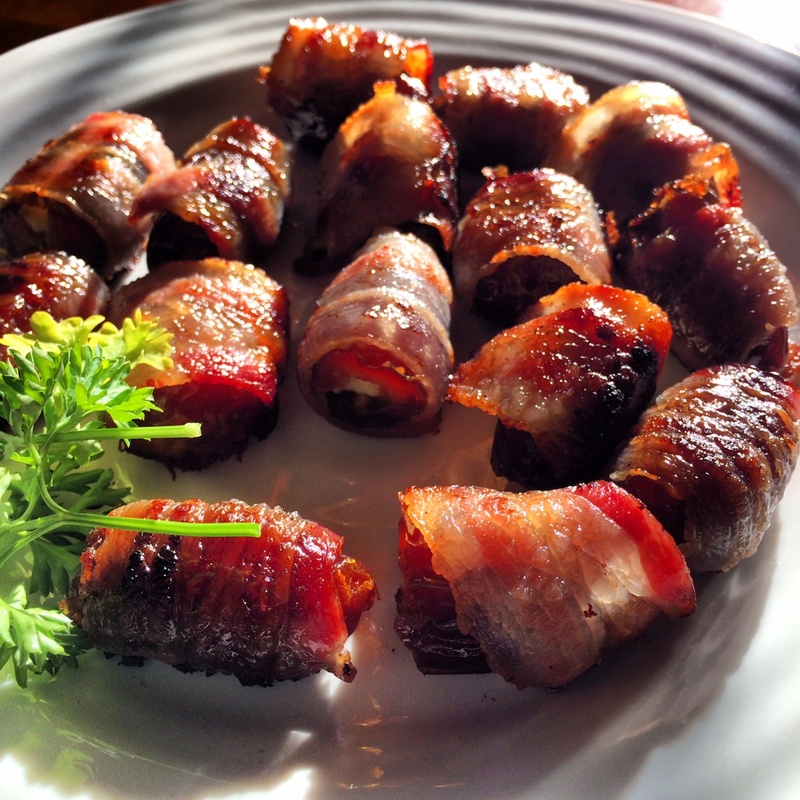 Wrap each goat cheese filled date with a piece of bacon (probably about a third or half of a piece). Make sure the bacon is wrapped tightly. Place each date on a baking sheet. Cook for 10 minutes and then flip over and cook for an additional 5-10 minutes. What did you bring to your Thanksgiving Dinner? 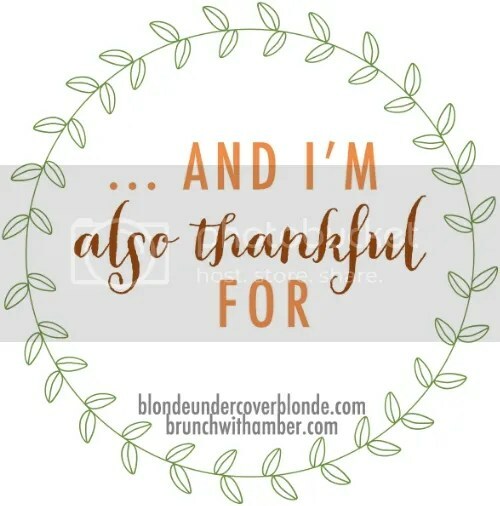 Today I stumbled upon Amber’s blog and loved the idea of her Link Up post, called “And I’m Also Thankful For.” Of course Thanksgiving is a time that we take a step back and realize all we have to be grateful for. A lot of times it’s usually lots of sentimental mushy stuff like I’ve already wrote about. So here’s a chance to tell about all those things that I just can’t go a day with out! I’m going to do my best to not make my entire list food items! 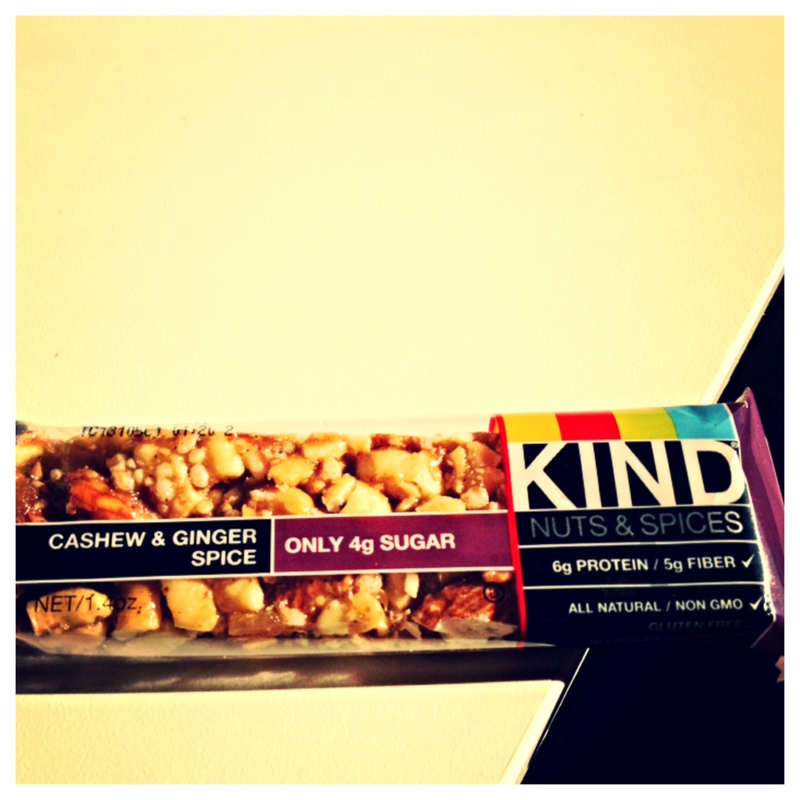 Kind Bars Seeing as I eat one pretty much every week-day I’d say it’s pretty much something I can’t live without. Starbucks Coffee Even though I have cut down on my daily Starbucks trips, it’s always such a treat to get a good cup of coffee from Starbucks. No other coffee chain will ever compare. 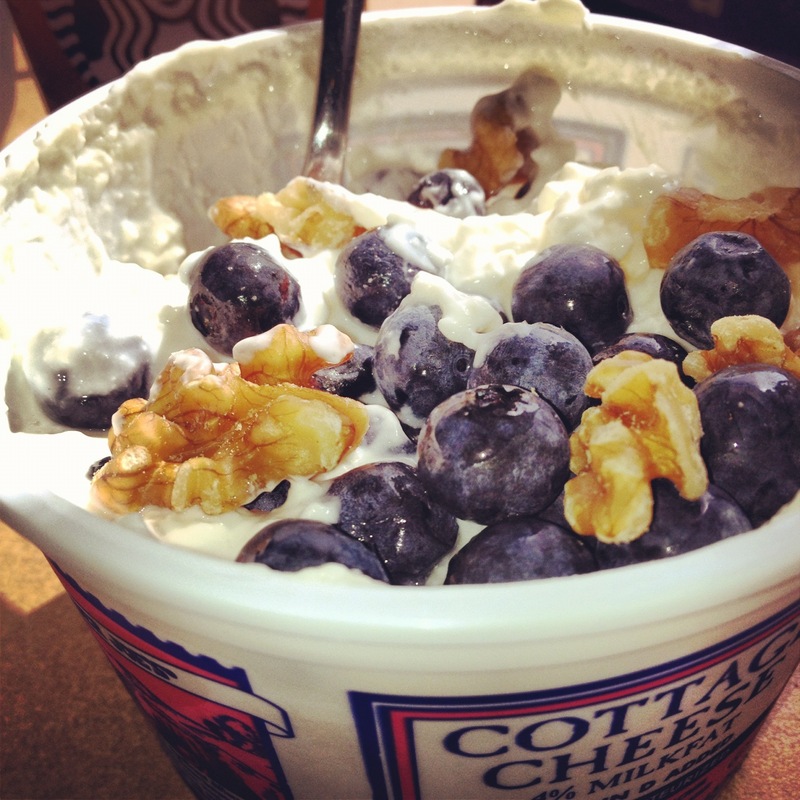 Cottage Cheese See Kind Bars. 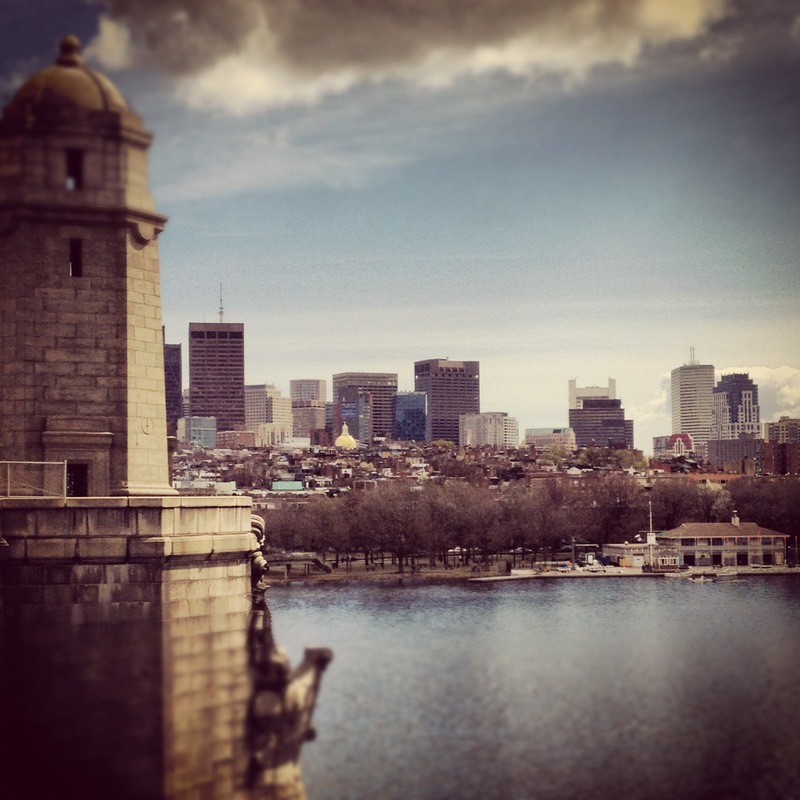 Instagram Instagram feeds my creative side and the part of me that has always loved photography. When I realized making a career out of it wasn’t for me, along with carrying around a big bulky camera, along came Instagram! 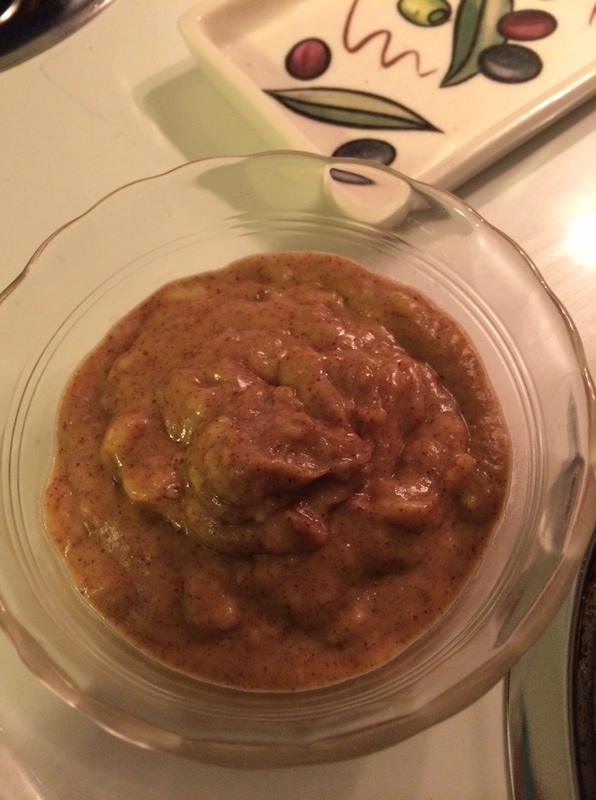 A Super Simple Recipe – Oatless Oatmeal! Alright maybe it’s the cold weather settling in or the fact that my schedule has me getting home much later on Mondays…but I’ve been craving something warm, comforting, and easy for dinner. 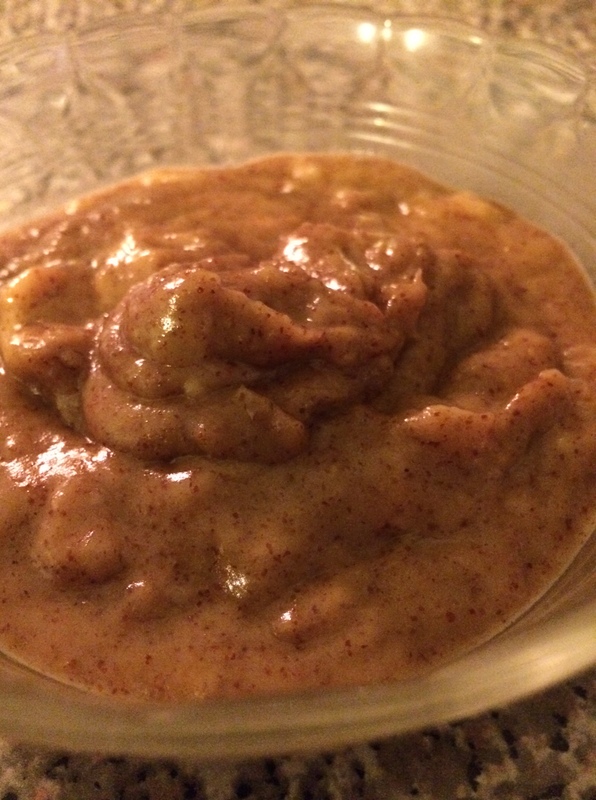 Before going primal I literally used to eat oatmeal with peanut butter every day for breakfast. So for some reason, the past few weeks I’ve really been craving my old go-to. This was my first attempt at making Oatless Oatmeal. It is a super simple recipe that’s perfect for nights you get home late or mornings when you want something other than eggs! By the way, I didn’t measure much for this recipe. It’s approximate, so add a little here and there to your liking. Place a small sauce pan on the stove over medium heat. Add the coconut oil so that it melts. Break your banana into small pieces and add them to the pan. Start to mash them, it will become easier as they get warmer. Add in almond butter (i used about 2 scoops) and milk. Start mixing and keep mashing to get out most of the clumps. Add a dash of salt and some cinnamon. Stir for another 5 minutes or until it has the consistency you like. 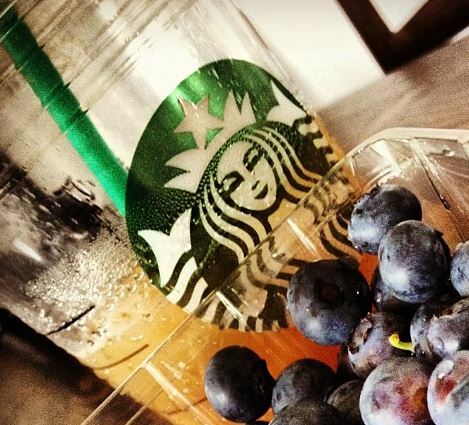 Pour in a bowl, cozy up on the couch, and enjoy! Does anyone else have a good recipe or different version of “oatless” oatmeal?